Secure adhesive mounting plate with leash attachment. Quick Release Pivot Post with secure locks for adjustable view angles. 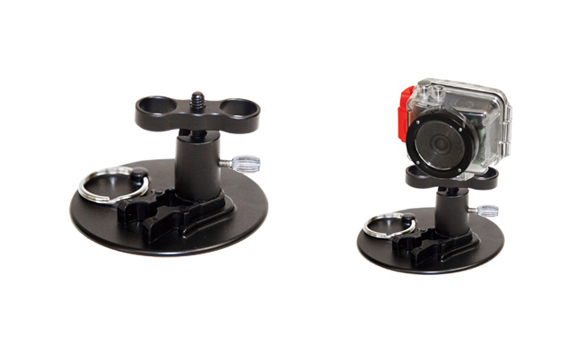 Compatible with standard tripod mounts found on most cameras.